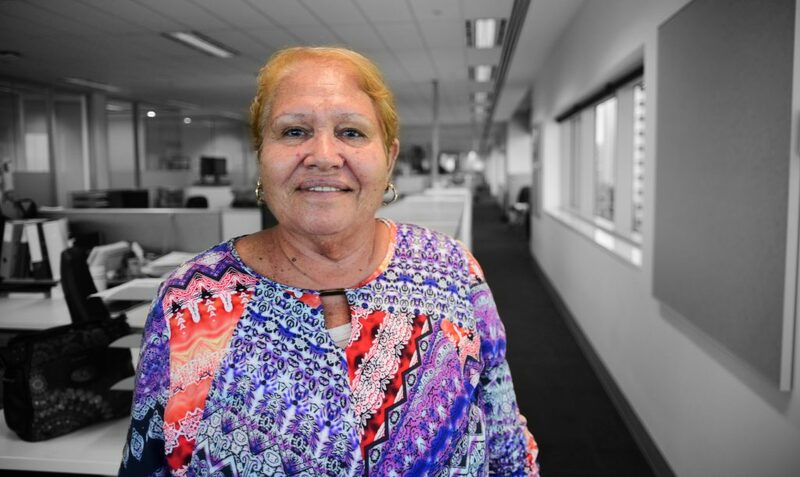 CEO of the Nyangumarta Warrarn Aboriginal Corporation Nyaparu Rose recently spoke with SBS’s Living Black program about Indigenous Protected Areas and Ranger programs, which she sees as essential to both young people and elders of her community. The Nyangumarta people also use these programs to work with scientists and other professionals to protect delicate ecosystems by cataloguing and documenting the land and practices. Nyaparu Rose said her heritage is not being witnessed up close by the Commonwealth, and it’s a problem which could lead to future cuts or no expansion. The Australian Government is now accepting applications for its annual poster competition to celebrate NAIDOC Week. The 2016 National NAIDOC Poster Competition is open to all Aboriginal and Torres Strait Islander artists aged 13 and older, and a cash prize of $5000 will go to the winner. The artwork must reflect this year’s theme of “The Living Narrative of Our Nation”. Entry forms can be downloaded via the Commonwealth’s website here, and can be posted digitally or by mail. Applications may also be submitted using the online form on the website. The deadline for submissions is Monday 21 March, 2016 at 5:00PM AEST. *Warning – Aboriginal and Torres Strait Islanders are warned that the Commonwealth’s NAIDOC web site may contain images of deceased people. The E-book version of Lisa Holland-McNair’s, Melva Stone’s and Erica Smith’s Red Dust in Her Veins: Women of the Pilbara is now available through Amazon, iTunes and Kobo. The book, dedicated to women of the Pilbara past, present and future, is donating all proceeds to the Flying Doctor Service. In the foreword, Ms Stone writes that her work offers a glimpse into the multitude of ways the land and Country shapes the lives of its inhabitants, and becomes core to their identity. “[This book] provides a window into the lives of four indigenous women who were born and have lived most of their lives there, and eight non-Indigenous women travelled to the region for work or with their families,” writes Stone. “All of these women offer an insight into how they have found ways to meet the challenges of coping with change, with isolation from family, friends and technology, with health scares, while managing their relationships and working in new jobs. One of the women featured in Stone’s work is Patricia Fry, an Aboriginal woman hailing from the Gibson Desert in the Pilbara’s far east. She writes in her story that nothing can replace the fondness she has for home. “When I think of the land, I think of the red, red ochre…my last long trip up there was right out to my mother’s country, on Lake Percival – we called it Winpa,” writes Ms Fry. “I knew as soon as I felt that wind on my face that I was home, I knew it was my father’s, my uncle’s, my mother’s country – I couldn’t get there quick enough, and when I arrived I just sat down and cried. Hard copies of the book can be found at Elizabeth’s Bookstore or at the above Amazon link. Round three of the National Stronger Regions Fund (NSRF) opened for applications on Friday 15 January 2016. Not-for-profit organisations are encouraged to apply for amounts ranging from $20,000 to $10 million to fund infrastructure projects and invigorate growth in the Mid West. For this third round of funding, applicants classified as “remote” and “very remote” will only contribute one dollar for every three NSRF dollars. The window for posting applications to the NSRF will close on Tuesday 15 March 2016, and potential applicants are being urged to submit their applications early to avoid lodging errors which may be encountered as the deadline draws closer. The program began in 2015 and provides more than $1 billion to fund regional infrastructure across regional Australia. See the statement by Ms Price here, and research NSRF applications here.